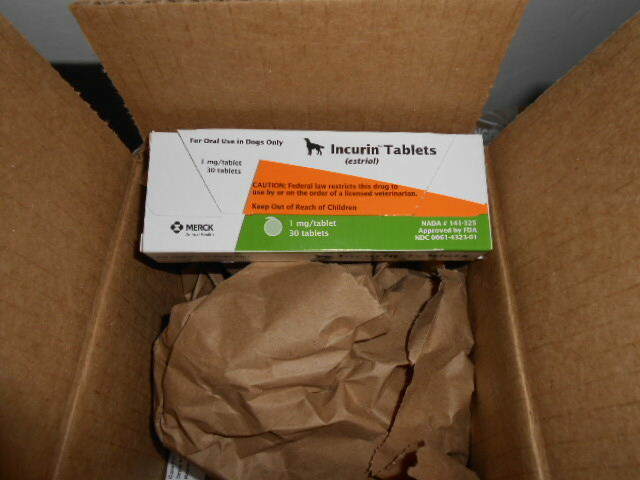 I’ve got great news for anyone who had their dog on Incurin (Estriol) for urine leakage. If you’re like me, you were dismayed when Incurin went out of production for several months last year. Well, worry no more because it’s back! I had a lot of trouble finding Incurin last autumn. I was worried that I would have to switch my dog to something else. Since it was our third attempt at solving her urine leakage issue with medication, I was not happy. I ended up having Estriol specially made through a compounding pharmacy. It worked, but it was much more expensive–almost triple the price. 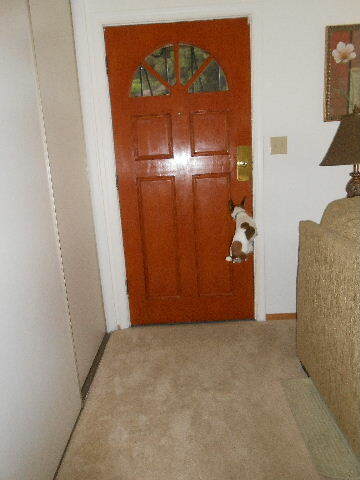 So excited, I must jump for joy! I normally buy Misha’s prescription medication through Allivet.com. She needs a refill, so I took a peek on their site just in case. I was pleasantly surprised to find that Incurin is back in stock. If you’ve found that Incurin works for you dog’s urine leakage problem, fret no more. It’s back!